It is known that many within the ‘Pakistani Taliban’ (Tehrik-e-Taliban Pakistan – TTP) hold traditional and cultural ideas which leads some of their factions to act in shallow, brutal and un-Islamic ways – a flaw they share along with the ruling Liberal elite of Pakistan (who hold open disdain for Islam, and follow Western culture from colonial times). However, as flawed as the Pakistani Taliban are, it does not benefit understanding, for people to be misled about the real reasons behind the attack. The tragic shooting of Malala Yousafzai – was not due to an alleged opinion they hold that women should not be educated, and it was most certainly not because of an Islamic opinion against women’s education. It should be noted that all Islamic political groups and organisations throughout the Muslim world advocate education for men and women. Indeed, the Pakistani Taliban were angry at the Pakistani Military for besieging and attacking Lal Mosque, and the Jamia Hafsah complex in 2007 – an institution that teaches both men and women. 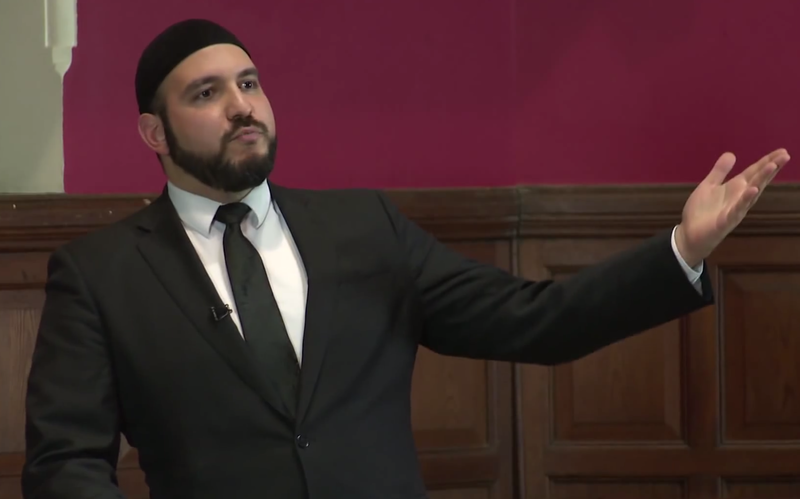 The idea of educating both genders, is not controversial or disputed amongst Islamic scholarship, and is something that has existed in the Islamic world for 1,400 years. The real reason behind the attack by the TTP, however, was not some dispute over female education, but ostensibly a reaction to grievances due to policies that the Western governments don’t want people to realise. The Pakistani Taliban have caused many problems in the region, but they are not the cause of all the problems in the region, but merely one of the symptoms of the greater problem of the U.S’s ‘Great Game’ in Afghanistan and Pakistan. The TTP rose to power mainly as a direct reaction against Western foreign policy in the region. They are unfortunately the result of many Pakistanis being pushed too far by U.S. barbarism and the brutal actions of the puppet regime of Pakistan – who constitute a mix of cynical pragmatists and Westernised Liberals who have grown rich off the poverty and misery of the Pakistani people. 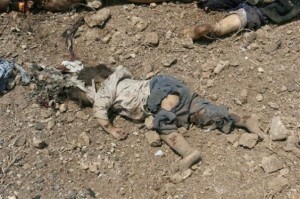 Quite simply, the bloody U.S. invasion of Afghanistan, and the Pakistani government support of that invasion, and the displacement of millions in SWAT by the sledgehammer-like operations of the Pakistani military, and the incessant and notoriously undiscriminating U.S. drone strikes (which have killed 168 Children up to now) have caused many people to become extremely resentful to the point of declaring all out war against Western imperialist encroachment, and all perceived manifestations of the Western influence in Pakistan. Sadly, poor Malala was shot because her attackers wrongly perceived her as one such manifestation of Western influence, possibly as an agent of the U.S. and its Pakistani Liberal allies. 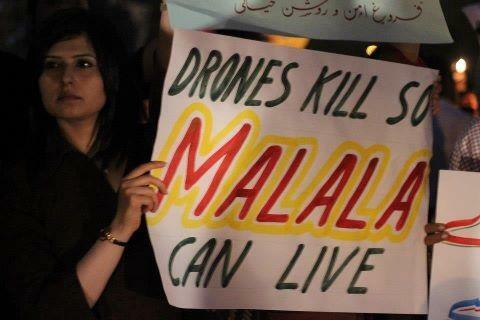 Malala is an innocent and should never have been targeted by them at all. She was being used and promoted by her father Ziauddin Yousafzai, who had dealings with U.S. ‘Special Envoy’ to Afghanistan and Pakistan Richard Holbrooke (and invited little Malala along), and managed to secure for her a show on BBC Urdu service radio, where she did programs about life under the Pakistani Taliban. Through Malala, Ziauddin cynically used his daughter to actively agitate against the Taliban – something that certainly coincides with U.S. and Pakistani Liberal strategy in the region. Needless to say, it was obviously wrong for the TTP to target Malala, and shoot a young girl, and the TTP are clearly unIslamic in what they do. Any appraisal of her story would clearly show that she is an unwitting, politically naive 14 year old who was cynically coached and used by her father to further his own political interests and attain some measure of fame for himself – via service to U.S. interests. Regardless of whether or not Malala was a U.S. pawn in the ‘great game’ being played in the region then, she certainly has been made into one now. The U.S. and British governments have capitalised on her horrific attack, and come out in support of Malala, depicting her as a ‘brave girl’ who ‘merely campaigned for women’s rights to education’ – something the Pakistani Taliban have not stated was the reason for their (misguided) attack. The appalling ordeal suffered by poor Malala is now being cynically used by the U.S and by the elitist Liberals of Pakistan to deride all Islamic movements and political resistance to American foreign policy in the region, and advocate increasing military operations within Pakistan. Pakistani Liberals have opportunistically jumped on the Malala’s story, and have created a martyr cult around Malala with such fanaticism, it would put even Evangelical Christians to shame. These Western-awed individuals are now even unashamedly and openly supporting U.S. drone attacks (see photo below) which have been responsible for the death of 168 ‘Malalas’. People may argue that the Drone strikes are not like terrorism, since terrorism involves the deliberate killing of civilians for political goals. But how is that different from those who pursue (materialistic) political goals by military and violent means, like the U.S. government, who know that a far disproportionate number of civilians will die as a result of its military operations (operations where all people in a targeted area are assumed to be military threats) yet wilfully continue along with that course of action, deeming those civilians to be an ‘acceptable’ price to pay for its political gain’? The bottom line is, there is no difference. Unfortunately, the truth of the situation is, the Pakistani Taliban are a result of the American Imperialism and militancy in the region. Although the U.S. Government and Pakistani Liberal ruling elite like to blame the Pakistani Taliban for all the evils in the region, the blamers have only themselves to blame, since as we all know, every action, has an equal and opposite reaction – and the actions of the U.S. and Pakistan’s Liberal ruling elite, have been numerous and bloody indeed. It is a shame this Pakistani Liberal holding up the placard doesn’t believe the victims of American ‘acceptable casualties’ deserve life too – I guess only Liberals deserve to live it would seem. you still think she is so innocent.